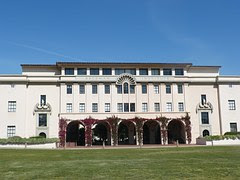 Last month I was invited to participate in an online chat run by Jodi Okun, author and founder of College Financial Aid. The chat, #CollegeCash, took place on Twitter. The title of the chat that night was similar to the title of this article. I expanded on my answers on my blog with two articles, College and Scholarship Readiness Parts I and II. This is the third installment. Where you see bold print below, these are the questions and answers which appeared on the chat. The rest is what I have added for this article. Q6 @ElizaWallace27 What tips do you have when it comes to testing? A6 The most successful and least stressed students start studying for tests the first week classes begin. Years ago while handing back a graded chapter test to my students I overheard a boy mention the girl next to him always did well because she was smart. Loud enough for him to hear, I asked her what she did to prepare for the test. She said she made flash cards of the new information, and studied them each night. I followed up by asking if she did this the day before the test or earlier. She told us she did this since the first day we started the new chapter. So, yes, she was smart. A6 Many practice tests for the SAT and ACT are available online for free; use them to become comfortable with their formats. Go to whatever search engine you use and type in “free SAT practice tests” and “free ACT practice tests”. Practice them beginning months before taking the test. You’ll become used to the format, and feel less anxiety. A6 Get enough sleep the night before and eat a complete, healthy breakfast (with no added sugar) the morning of a test. Students who make sure they have 9-10 hours of sleep each night are able to process more new information, understand it and retain it better. Students who eat a complete, nutritious breakfast (without added sugar) do even better. There have been dozens of recognized studies that prove both of these facts are true. 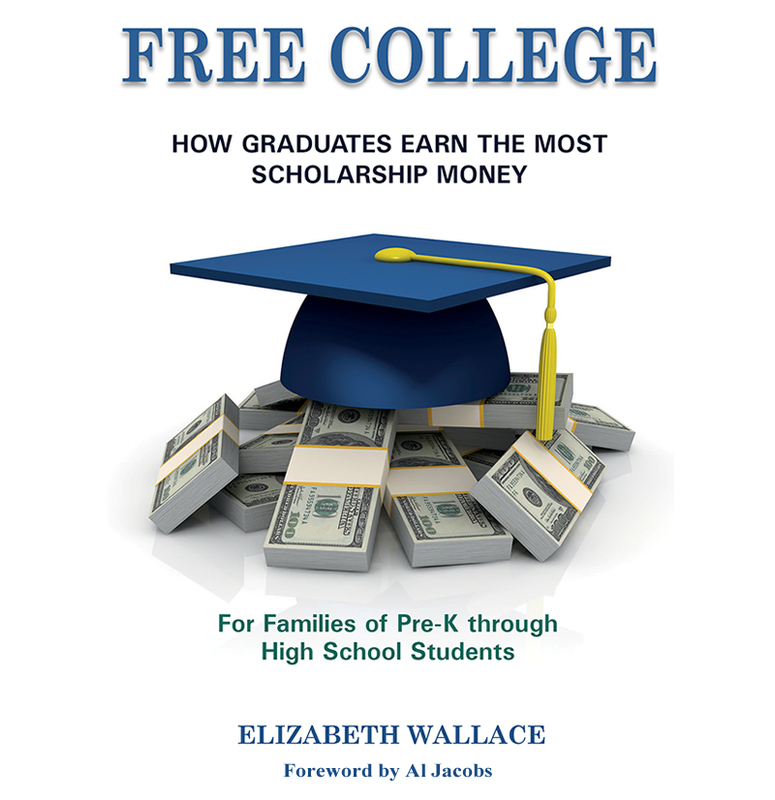 Q7 @ElizaWallace27 How do students win scholarships? A7 The most successful start getting ready at a very young age. In my book, Free College, I list the four behaviors most students and parents know about already. Students take rigorous classes (Honors, AP and IB). They earn a high GPA. They receive high scores on the ACT and/or SAT, and they fulfill the A-G requirement. There are many additional strategies, which are covered in detail in my book. A7 They fulfill all Standard A – G requirements, but go over and above them, so they stand out from the crowd; example: take more foreign languages than required, and longer. There are three areas in which students can take more advanced courses to fulfill the “G” requirement. They are math, science and/or foreign languages. Pick the subject in which you excel, and take more than the required amount of courses. A7 To win scholarships, students must apply, over and over. Don’t stop until the last year of college. Parents can apply for college scholarships for their children while they are in elementary school. Keep doing so until the child is old enough to take over. Set up a schedule, and stick to it. By high school, students should apply for a minimum of three scholarships each week. Q8 @ElizaWallace27 Should parents (or grandparents) use retirement funds to pay for their children’s college education? A8 No. Never. Not for any reason. Okay, maybe if you’re in the top 1% of earners in the nation. Enough said. A8 There are many grants and scholarships for college, but none for retirement. There are billions of dollars in college grants and scholarships given away each year, but not one for retirement. A8 Learn how to help students win scholarships and grants. I did the research for you. I handed out numerous questionnaires, conducted countless surveys and interviews, and did copious amounts of research into various subjects in order to discover the secrets of successful scholarship and grant winners. Don’t try to reinvent the wheel. Learn what works and follow the same road to free college. A9 I researched graduates who earn lots of scholarship money and found a pattern of behaviors. The most successful scholarship winners in my study adopted all of the habits contained in my book. Students who did only some of them received less free money for college. A9 I included a step-by-step guide to the strategies and habits of the most successful scholarship winners in Free College. I explain what students did, how they did it, and their results. I end each chapter with an action plan for each behavior and a few blank, lined pages so families may keep track of what they have accomplished. This will be helpful when applying to college and for grants and scholarships. A9 Students of families who adopt these habits, and apply for many scholarships, should be among the highest scholarship winners. Based on what I have seen, for those who are serious about going to college without accumulating debt, like students in my study, and who continue to apply for scholarships from elementary school through high school, success in amassing more free cash for college is likely. Q10 @ElizaWallace27 What are three things you want to leave us with tonight? A10 Earning more free cash for college is possible by practicing a few disciplines every day. It’s not who you are. It isn’t magic. It’s adopting the habits of effective scholarship winners. A10 Student loan debt cannot be eliminated by bankruptcy, but it can be avoided by earning enough scholarships. Don’t let your children join the 40 million students who graduate from college with student loan debt. A10 I don’t have the power to eliminate college tuition, but I have exposed the secrets of successful scholarship winners for families of preschool through high school students. When I went to college the cost was easily covered by taking on a part-time job. Until this is possible again, or until tuition is eliminated, you have to cover all expenses with grants, scholarships, savings or debt. I believe you can do what other families have done, and collect enough free money for college, so debt should not be needed. How Do Students Learn to Get Along? Why Should Kids Eat Breakfast Daily? How Exactly Do Actions Speak Louder Than Words? What Is The Meaning of Mindfulness? What Should Families Do Before School?